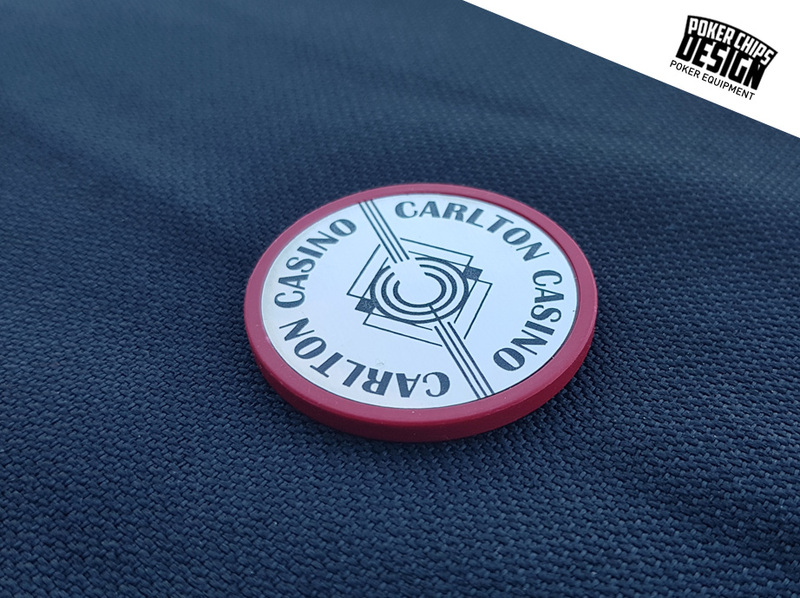 The project : The brand new Carlton Casino Club in Dublin (Ireland) wanted accessories for its poker tables. 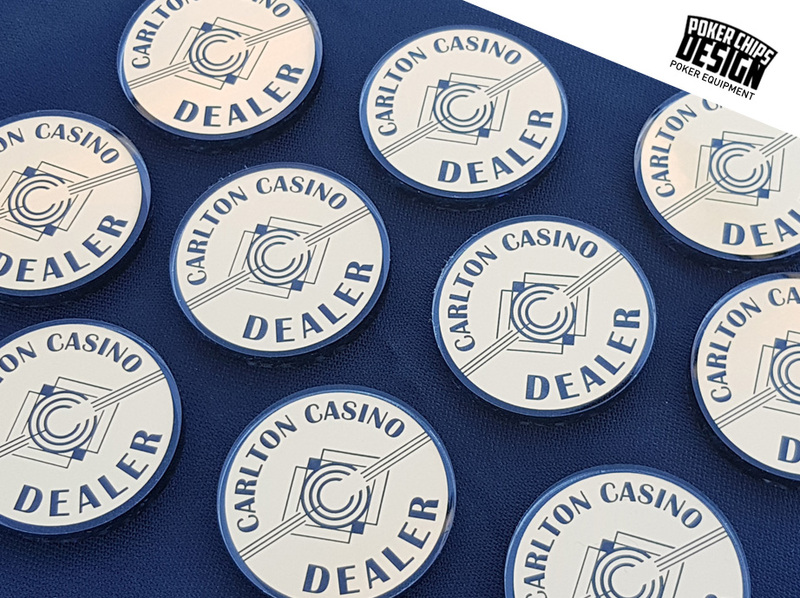 Dealer buttons and All-In Tokens. 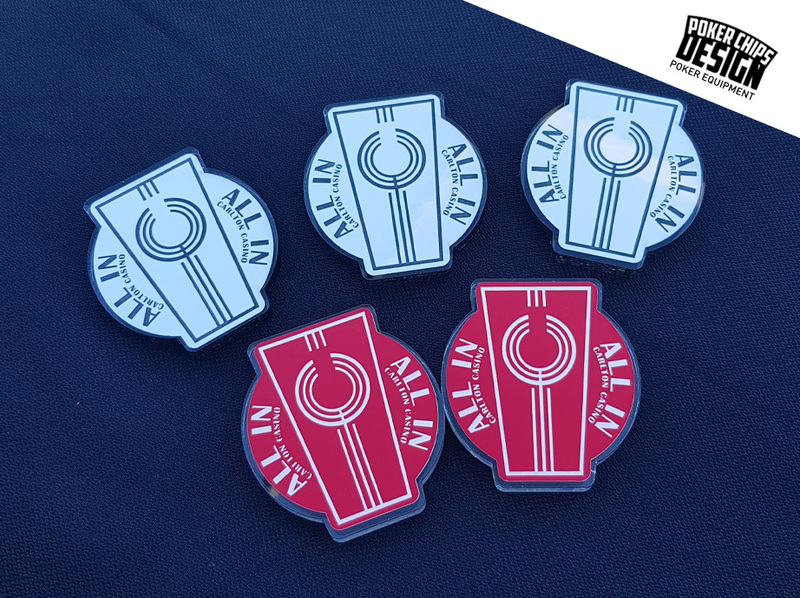 They already had a logo with the triple « C » and a keystone. 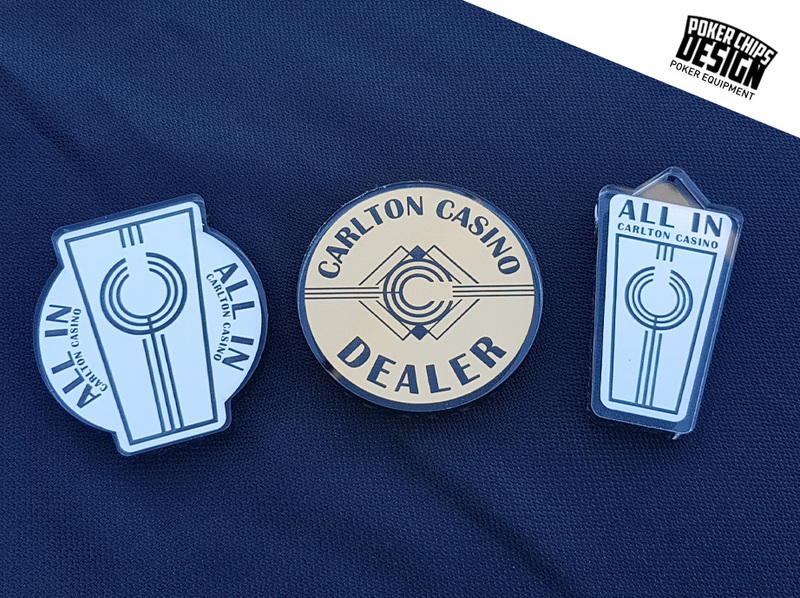 My answer : I have created three designs, one for the dealer buttons based on the CCC logo, one for the round All-In Token with the CCC logo and one last for the second All-In Tolen based on their « keystone ». 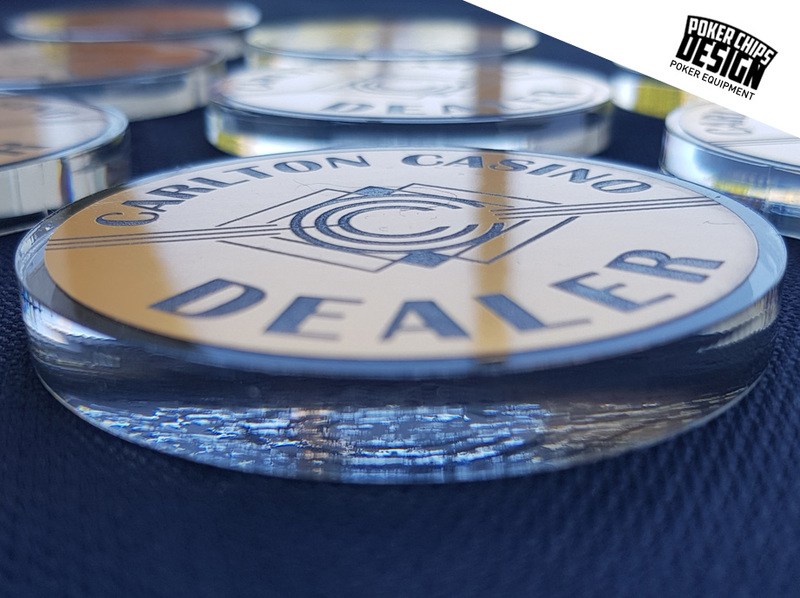 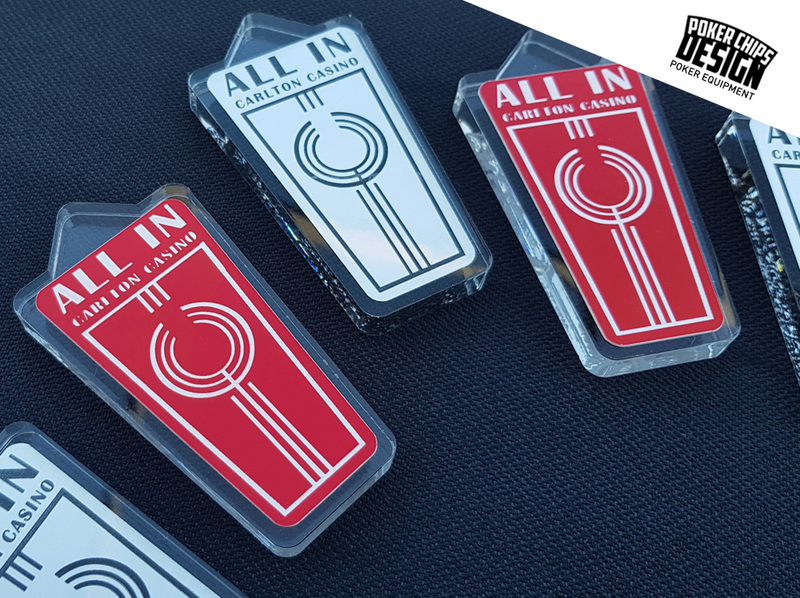 All three pieces are made with thick acrylic glass and a engraved plaque, golden for the dealer, red & silver for the All-In Tokens.